Kilkenny Famine Experience - MacDonagh Junction Shopping Centre, Kilkenny. 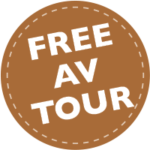 Visit Kilkenny Union Workhouse, adjacent to Kilkenny Train Station, now beautifully restored as MacDonagh Junction Shopping Centre to take this FREE audio visual self-led tour. Learn about the ground-breaking research carried out as the result of the unexpected discovery of over 970 human remains in 2005, described as the most significant discovery in the world relating to the Irish Famine. These remains, the Kilkenny Famine Victims offered groundbreaking osteo-archaeological insights into the influencing factors that made some survive and more perish in 1840’s Ireland. Visit the final resting place of these victims and pay respect to their memory at the Famine Memorial Garden. View the beautiful bronze sculpture commissioned in 2017 to honor their memory. Reconnect to them as individuals; realising that each had names, complex feelings, relationships, hopes and fears facing Ireland’s darkest period in history. 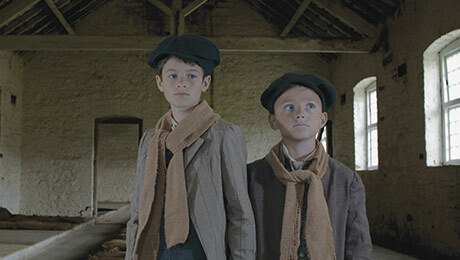 Meet the young Saul brothers, John and Patrick who sought refuge in the Workhouse in 1842 after being abandoned by their parents on the docks in Dublin. Faced with an arduous journey on foot back to Clonmel they presented at the Workhouse and were admitted. Suitable for children – parental discretion advised. Select your tour time below to book your place on the tour. You can select a date in the next section.